The big rumour that Apple named the new iPhone 4S after Steve Jobs is unclear. We might never find out that it was named 4Steve. But as this quickly escalated around the internet there is mixed views on whether it should be named in loving memory of Steve Jobs. Does the S in 4S stand for Speed? Or should it stand for Steve? 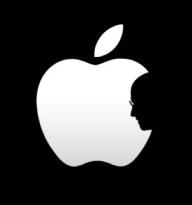 For everything that he has done for the company, I think that Apple should rename it 4Steve. I hereby propose that the iPhone 4S be named as the iPhone 4Steve. Please sign this petition to get it trending and apple might even change it!